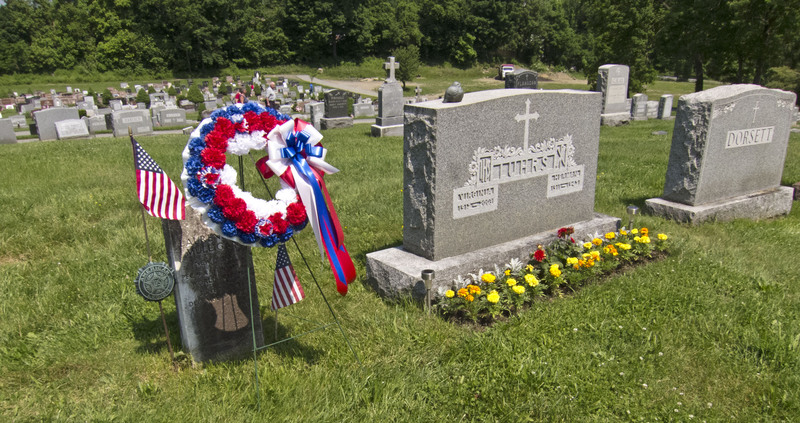 All over the Hudson Valley, Memorial Weekend was filled with parades, religious services, wreathe-layings, and other celebrations honoring the brave soldiers who have served and given their lives in the U.S. Armed Forces. 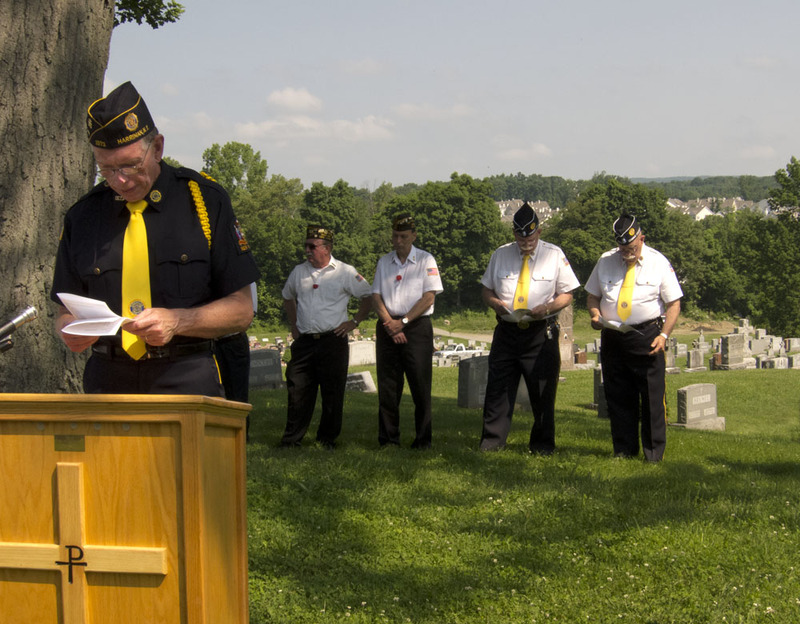 A long-standing tradition in Harriman, Orange County, has been an outdoor Mass on Memorial Day, along with honor guard, the reading of the names of those who have fallen, and the laying of a wreathe at the memorial in Harriman’s village square. The weather this year, though very hot, allowed for the service to be held outdoors. All the key players were new: it was the first year for St. Anastasia’s pastor Fr. Michael Keane, music director Anthony Daino, and parish secretary Jean Marie Weinberg, whose awesome organizational skills brought everything and everyone together. Here are some photos from the event. 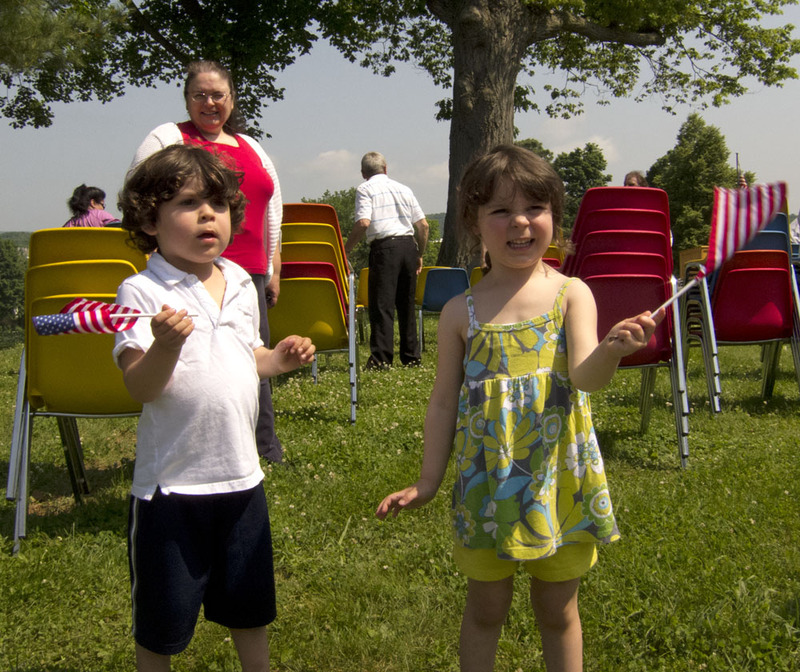 New patriots: The Daino twins wave their flags while Mom looks on. Fr. 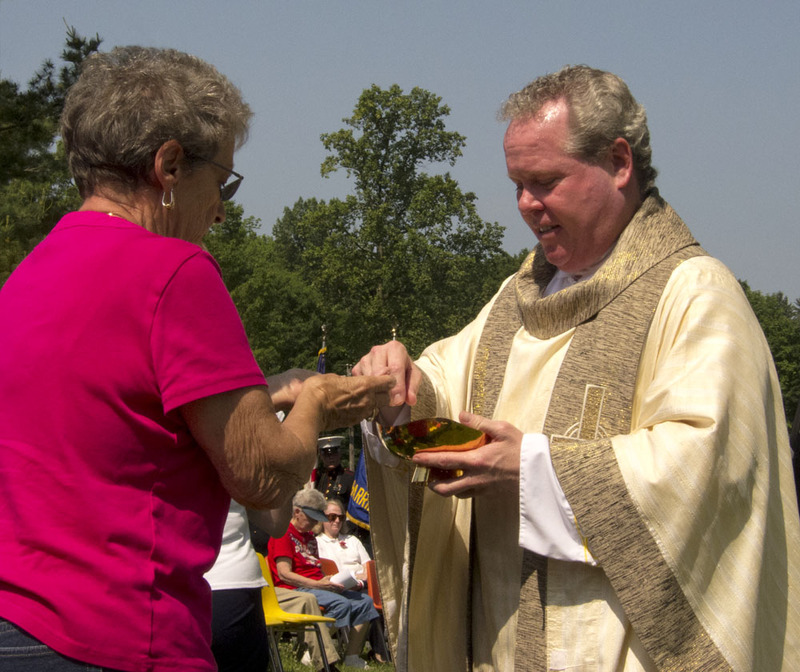 Michael Keane gives Commuinion to a parishioner. Fr. Eder Tamara, Fr. 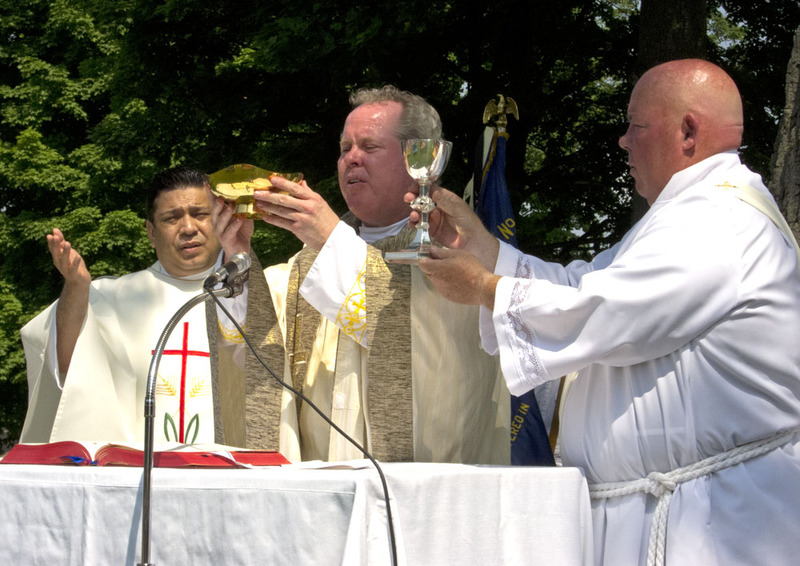 Michael Keane, and Deacon Brian O’Neill hold up the gifts. 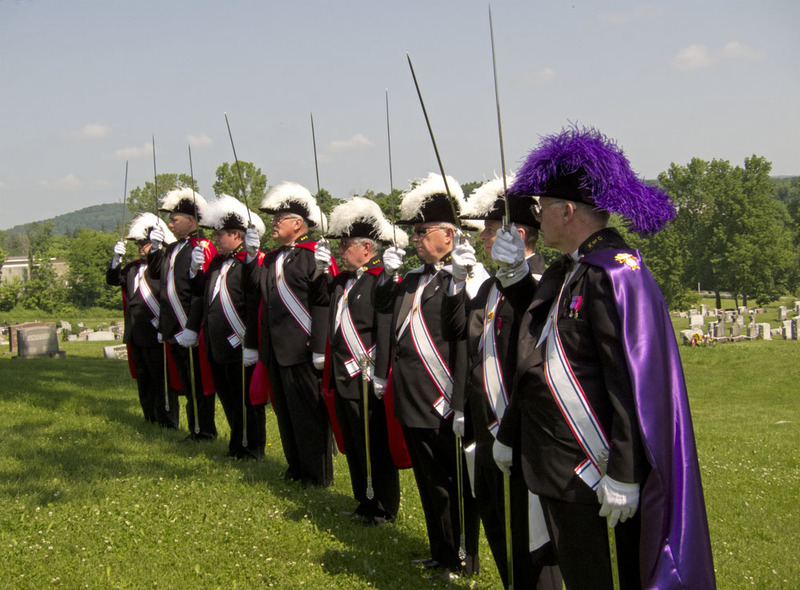 The Knights of Columbus form a guard of honor. 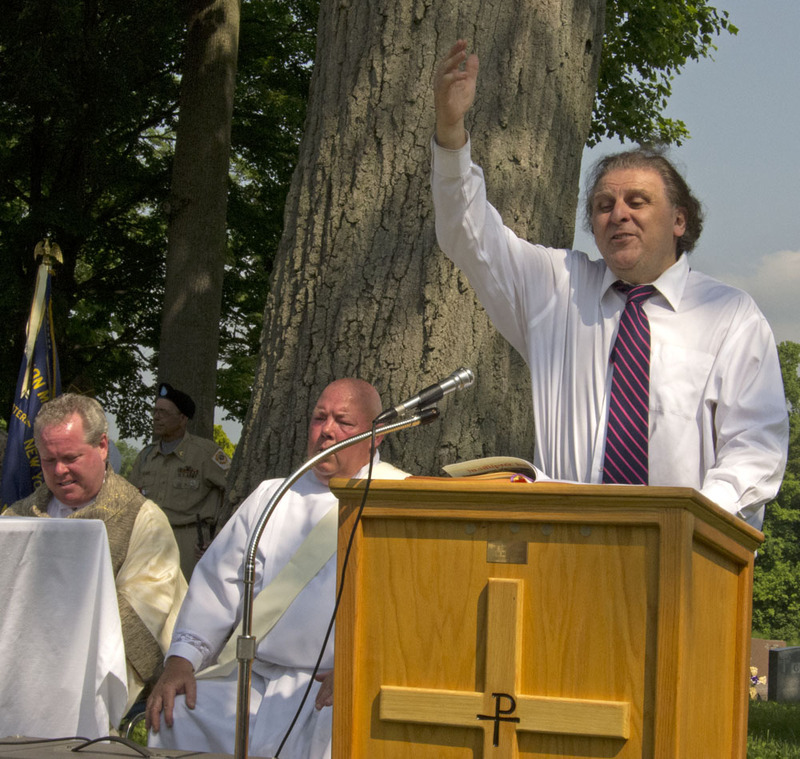 Music director Anthony Daino leads the singing while Fr. Michael Keane and Deacon Brian O’Neill join in. The names of the honored war dead from Harriman are read out.